Here’s a cool way to create your own menorah. Pull together a collection of 9 resale candlesticks of varying heights. Place the tallest in the middle, choose a bright candlestick color and you’re ready to celebrate. Happy Hanukkah! 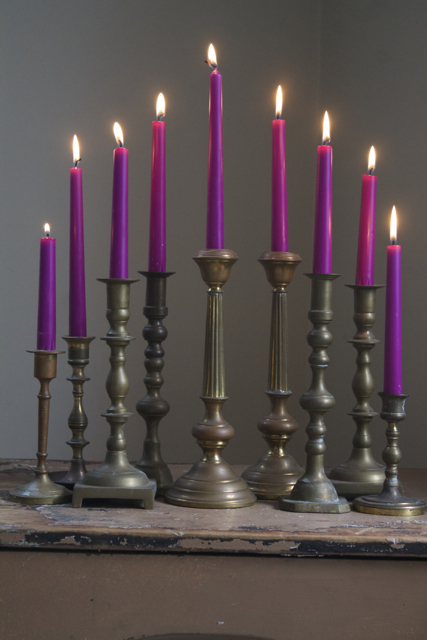 A one-of-a-kind menorah can be made by thoughtfully arranging various brass candlesticks. Check resale shops, eBay, Etsy to get started on your collection.